Growing up mothers would tell their daughters to be selective of who their friends would be and the potential boyfriends. Being selective implies that care and attention will be put into finding the right friends and boyfriends. Why is this important? Rushing into a decision could end with a group of bad friends that pull you down rather then up and a bad boyfriend could end you up with a broken heart. Now as an adult, the selective tendencies still apply but are rerouted somewhat. As an adult, care and caution with decision making comes into play with regards to marriage, work and other domestic responsibilities. Neuropathy is one of those conditions where it is important to be selective. Neuropathy is a painful condition that affects an individual’s sensory nerves. 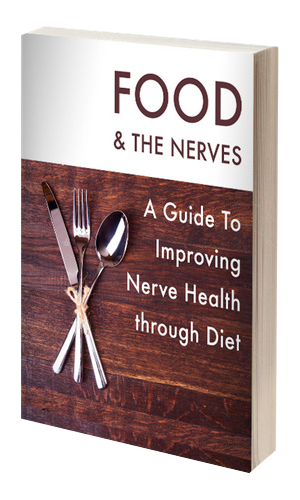 Neuropathy occurs when damage to the peripheral nervous system has taken place and the brain, spinal cord and sensory nerves have begun to miscommunicate with one another. The lack of communication causes the brain to have a slow response to the nerve cells endings. The slow response from the brain to the nerve cell can cause an individual harm because he or she is unable to discern if a temperature is hot, cold, or if terrain is changing. The lack of communication between the brain and nerve cells endings is particularly harmful when the neuropathy has developed in the foot area. Foot neuropathy is very scary and the lack of feeling in the feet can cause a person his or her mobility and freedom. Foot neuropathy is when nerve cell damage resides predominantly in the foot are causing painful sensations such as tingling, burning, numbness and needle like pricking while walking. Foot neuropathy patients often tend to favor their feet by way of avoiding excessive walking. Staying off the feet may seem like a natural pain relief option when in fact it causes more harm than good. The feet can lose their range of mobility if not used therefore daily walks and low impact exercise is a great form of foot neuropathy treatment. Swimming is just one of the several foot neuropathy treatment options; it is an attractive one with summer right around the corner.